In my perspective, there are still a lot of things I enjoy and have me logging into the game. The Epic XP Boost has got me to begin working on those couple of class stories I kept putting off. The QoL changes to quick travel, Fleet passes and speeder unlocks have been a welcomed addition and have made revisiting planets less of a chore. In addition, the increased amount of Basic comms awarded for class missions and reduction of vendor cost has made gearing a much more pleasant experience. I hope in the next seven months BioWare looks to increase the positives and lessen the negatives. However, the most important thing BioWare needs to do is listen to the community. Not everyone, who feels there are mistakes or things being done wrong in the game, hates SWTOR. In fact, some of the most diehard fans of SWTOR have issues with the game because they want this game to be good. Yes, there are haters, trolls, etc., but making sure people feel like they are being heard is very important. Good examples are the concerns from mentions of changes coming to PVP in future Update 3.3. Listen to the community BioWare and make the changes with their perspectives in mind. BioWare has been true to their word and allowed podcasts more access with the series of interviews and guest appearances. The latest example can be heard in the interview the Bad Feeling Podcast had with Eric Musco and Alex Modny. The hosts, Chuck and Brian, were on a scheduled visit to the BioWare studios in Austin for the interview. The subject of the interview was PVP, specifically changes and potential things BioWare are or are not working for PVP in SWTOR. 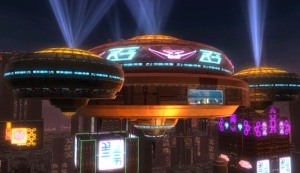 TOR Community has posted a summary of changes coming in future Update 3.3. I found that this summary had a great breakdown of the highlighted changes suggested to be coming in Update 3.3. I am using the summary as I go through the interview again, to glean any other useful bits of information. According to the developer thread the Community stream will return on June 3rd. The Twitch livestream will focus on new content. A walk through of the new Yavin IV Stronghold and the entire presentation of this will be done with a specific specie character. This of course is the new species the Togruta, which be added to SWTOR later this year. The stream will start around 4pm CDT and last about an hour. 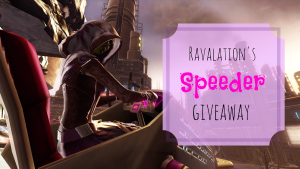 As I was looking through the community blogs, I skimmed through Ravalation’s site and saw her SWTOR Speeder mini-giveaway. She has four of the Anaheim Community Cantina speeder codes to giveaway, but wait there is more. On top of that, she is also giving away some other mounts. Why is this considered only a mini-giveaway? Because it is limited to only one server, The Red Eclipse, since that is the one in which she has the speeders. You can go to the blog posting to read the exact details for entry into her contest. Best of luck to all those who enter the mini-giveaway! 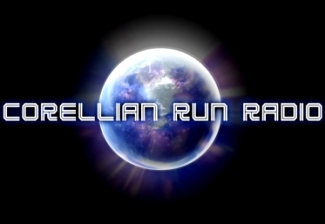 Corellian Run Radio would like to again thank all those who attended, watched, and followed our Twitch channel. Please join Heather and Jason live Sunday, June 7th, at 5pm EST/2pm PDT. This will be a little more than a week till to 06/15/15 Fallen Empire tease is scheduled to happen. 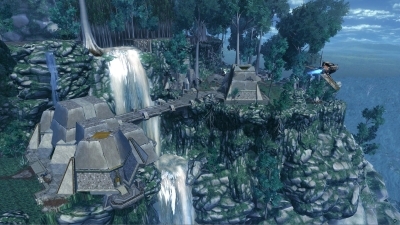 What could be coming and what do you make of the #FallenEmpire? If you have been attending our live stream or maybe you haven’t yet, either way mark your calendars to be there live. See you there.